Your favorite go-to studs just got an upgrade! 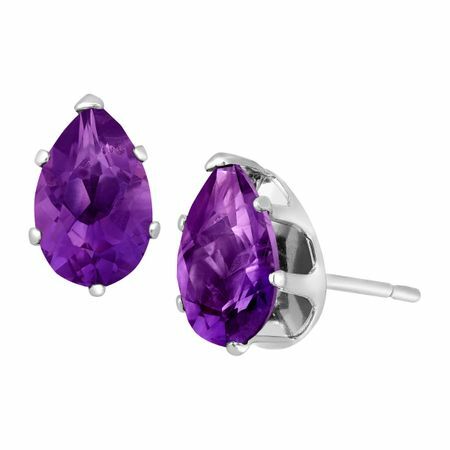 A total of 1 1/3 ct pear-cut natural amethyst is held in a setting of sterling silver. Pieces measure 1/4 by 3/16 inches.